A bright and versatile ultra-wide prime, the Four Thirds-mount 14mm f/2.8 ED AS IF UMC from Samyang features a bright f/2.8 maximum aperture and is well-suited for subjects ranging from landscape to architecture to astrophotography. The optical design incorporates a pair of aspherical elements and three high refractive index (HR) elements, which control spherical aberrations and distortion. Additionally, two extra-low dispersion elements are used to reduce color fringing and chromatic aberration for improved clarity and color accuracy. An Ultra Multi-Coating has also been applied to limit flare and ghosting for improved contrast and color rendering in strong lighting conditions. This manual focus prime has an 11" minimum focusing distance and also features a built-in petal-shaped lens hood to guard against flare and protect the front element. 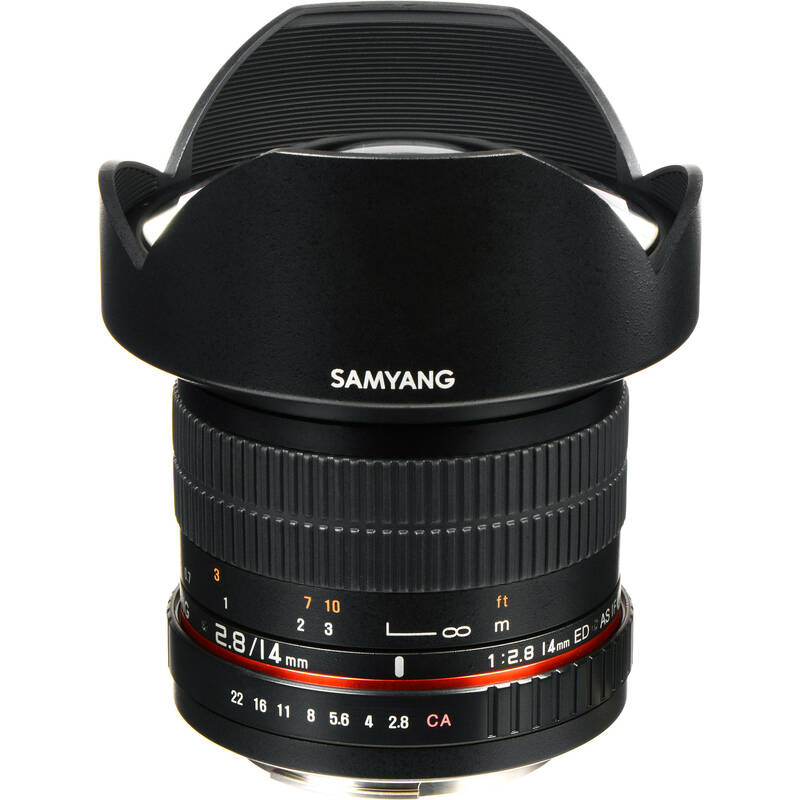 Wide-angle prime is designed for Four Thirds SLR cameras and offers a 28mm equivalent focal length. Two aspherical elements and three high refractive index elements control spherical aberrations and distortion in order to produce greater sharpness and accurate rendering. Two extra-low dispersion elements minimize chromatic aberrations and color fringing for improved clarity and color accuracy. Ultra Multi-Coating has been applied to suppress lens flare and ghosting in order to produce greater contrast and color fidelity. 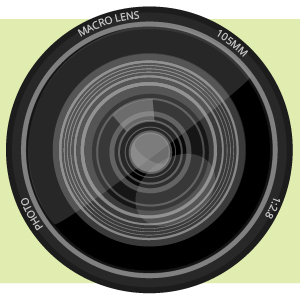 Manual focus design affords a minimum focusing distance of 11". Built-in petal-shaped lens hood helps to prevent stray light from causing flare and also offers some physical protection to the front element. Box Dimensions (LxWxH) 7.1 x 6.0 x 4.6"